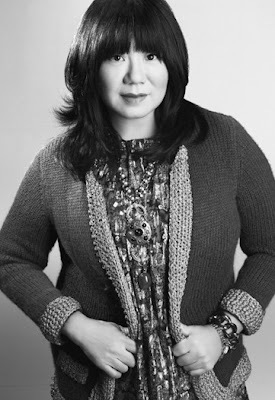 The big news this week is that Anna Sui will design a Designer Collaborations collection for Target [subscription required]! Even more awesome is the fact that the collection is inspired by Gossip Girl, specifically the four female leads. While Sui's namesake collection is more contemporary-priced than that of most of Target's designer collaborators (her dresses are downright affordable if you can find them on sale), this masstige outing will definitely let her reach a broader audience. No word on prices--and no pictures yet--but the line will hit a select 250 Target stores (and target.com) on September 13th, just in time for back to school (and, one would guess, the new season of Gossip Girl). Speaking of Target, the Tracy Feith Go International collection hits stores next Sunday, May 17th! Today, the Shipley & Halmos and Gilded Age collaborations hit Uniqlo, but, as Racked reports, well, no one really cared. 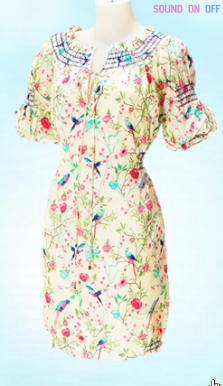 Finally, the summer portion of the Matthew Williamson for H&M collection hits most H&M stores next Thursday, May 14th. Unlike the previous portion, this less luxurious, more mainstream batch will be available in nearly every H&M store worldwide, and it also includes men's looks. You can preview the collection on the H&M website--it's indeed very summery, with caftans, swimsuits, and lots of great dresses, many with a peacock motif. It's very luxe-bohemian, which makes it perfect for summer. While Williamson is generally not quite my cup of tea, I have my eye on several pieces from this line. Hopefully it won't sell out as quickly as the last!